Vaping is considered a great alternative to smoking cigarettes. In fact, there is robust scientific documentation on why vape is much more preferable than cigarette smoke. If you think that this only applies to tobacco, then you are mistaken. More and more people are opting to use vape pens than cigarette sticks. Interested to know why they are making the switch? Check out these reasons why you should try vaping marijuana. First in our list is weed’s effect on your body. Studies show that many people believe that vaping is much healthier than smoking. With regards to tobacco, there are findings that vaporizers yield fewer repercussions on health. But is this true when it comes to marijuana? Very Well Health says that this could be the case. Vapers report less pulmonary symptoms than when they smoked. Specifically, consumers who used vapes experienced less coughing, phlegm and tightness in the chest area. If you are wondering why vapor does not have the same effect as smoke, this is because this process does not involve combustion. While smoking burns the bud, vaping merely heats it up to a certain level. Aside from being more favorable due to a less negative impact on your health, another reason to try vaping cannabis is its enhanced effects. 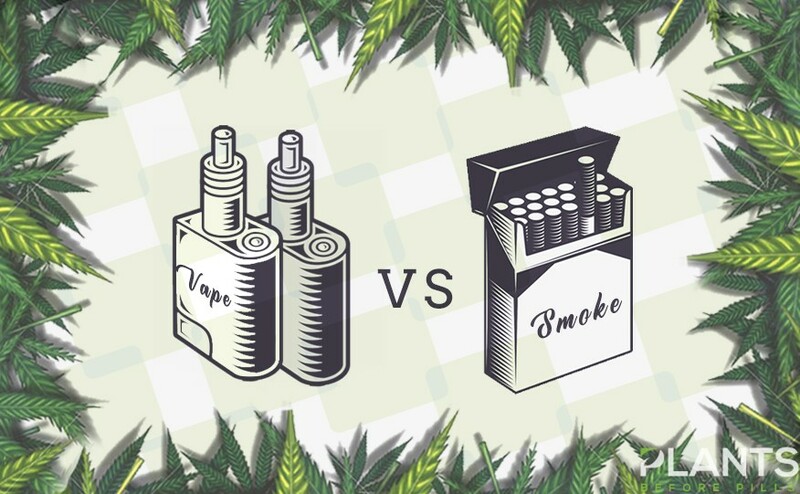 According to Live Science, cannabinoids, particularly tetrahydrocannabinol (THC), is much more potent when inhaling vapor as compared to when taking in smoke. In fact, participants of a study regarding this have much higher THC content in their blood when they consumed a fixed amount of THC via vape pen, as compared to when they smoked the plant. When the pressures of the day become too overbearing, there is nothing better than being able to get you cannabis fix whenever, wherever you are. Because of this, you want to have a more inconspicuous option to intake the plant to avoid getting odd stares from the not-so-open-minded. Vaping weed offers a great way to get your dose without arousing suspicion. If you are in a place with a smoking and vaping area, you will surely blend in well enough. This is because vaping marijuana does not give the same funky smell that you get when smoking the herb. This way, you can simulate the feeling of ‘smoking’ weed without actually doing so and in a tactful manner! Just make sure that your state allows this kind of activity and you are good to go. You might be thinking: If I switch to vape pens, I will not be able to use my stash of dried buds. Well, good news for you because there are varieties of vaporizers that can accommodate these! This way, you can still enjoy your stash while getting the most out of it, as well. If you want to bring a backup for your vape pen and carrying around dried buds is too much of a hassle, you might want to look into buying CBD vape oils. With this in your kit, you simply have to pour this liquid into your tank, and you have a fresh load of your favorite cannabinoid. There is nothing better than being able to blaze up anytime, anywhere. With vaporizers at your service, you do not even have to worry about actually blazing up. Just simply grab your pen, get your fix and you will surely be ready to take on the challenges you need to go through in your daily grind.